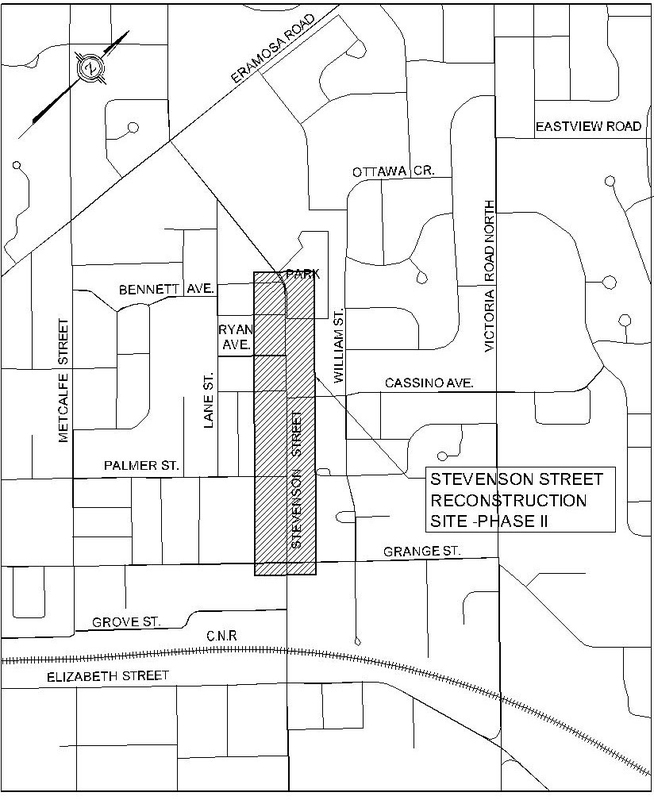 This City is reconstructing Stevenson Street from Grange Street to Bennett Avenue. The reconstruction includes replacement and upgrading of the sanitary sewer, storm sewer, watermain, curb and gutter, sidewalk, driveway aprons, bike lanes and asphalt roadway. Final road design will provide one lane for traffic in each direction and on–road bicycle lanes as recommended by the Cycling Master Plan. The Cycling Master Plan is a ten year strategy to make cycling easier, safer and more accessible in Guelph by building a connected network of on– and off–road bike facilities throughout the city. It is part of the City of Guelph’s efforts to support sustainable transportation, relieve traffic congestion, and make mobility accessible to all road users. Adding bike lanes to Stevenson Street will also help to make Stevenson a route that accommodates all road users including public transit, cycling, pedestrians and vehicles. Reconstruction is expected to begin in May 2016 and be completed by December 2016. During the installation of the underground services, traffic on Stevenson Street will be closed in stages in both directions. Updates to the schedule will be available in the Latest Updates section below. A key component of this project is consultation with interested stakeholders and members of the public. An open house was held on February 25, 2016. Material from that open house are posted below. Alternate formats of project documents are available upon request in accordance with the Accessibility for Ontarians with Disabilities Act, 2005. Please contact the Project Manager if you require an alternate format.